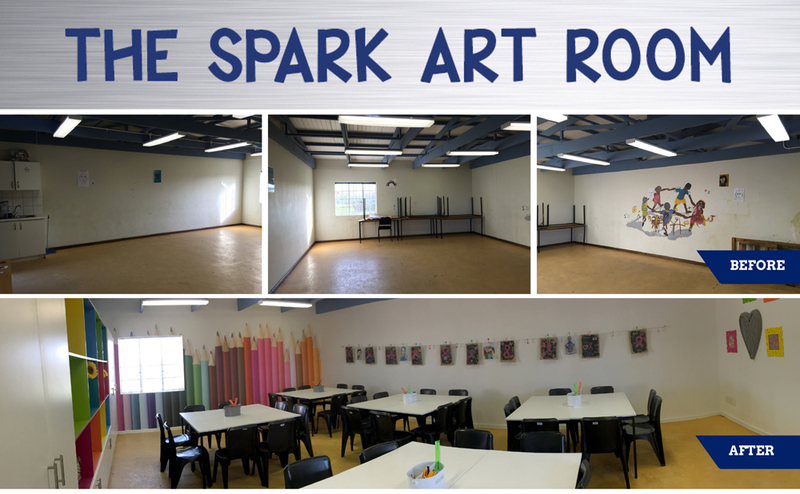 The art room at the Afrika Tikkun Community Centre in Mfuleni was renovated by Spark ATM Systems in January 2017. Officially opened in February 2017, the Spark Art Room was equipped to accommodate 40 children, creating an inviting and colourful space. Through Lalela, Spark ATM Systems will continue to contribute supplies for The Spark Art Room. 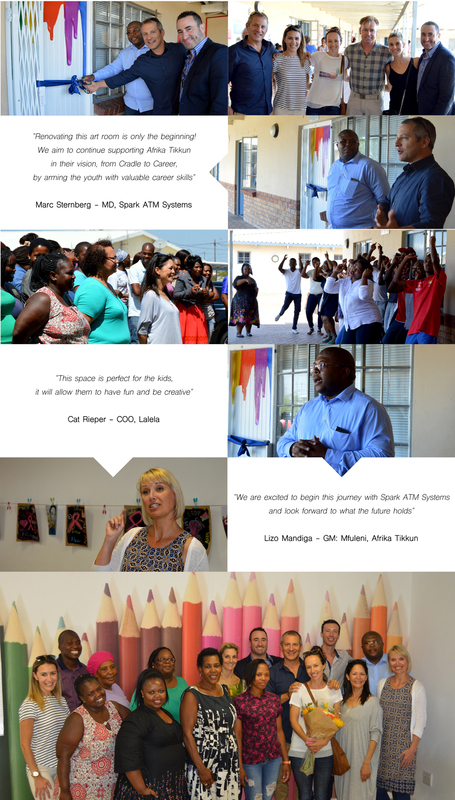 Spark ATM Systems will continue to support Afrika Tikkun with an ongoing involvement through charitable activities Involving staff. 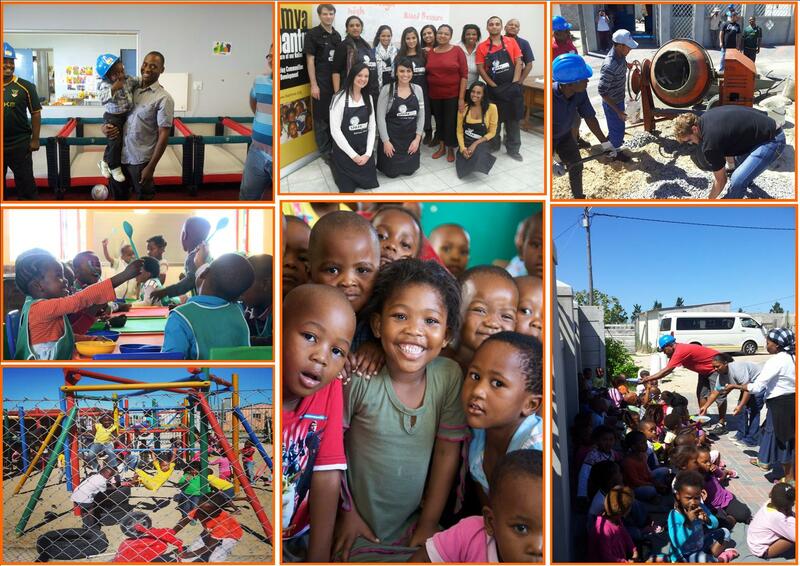 Spark ATM Systems has created a program together with Afrika Tikkun where Spark staff are able to contribute their time and skill to help the children and youth at the Afrika Tikkun Mfuleni Community Centre. 1. Ikamva Labantu is a non-profit, non-governmental Trust, which works to improve the lives of the young and the elderly. Their work includes helping over 1 000 children in 300 foster care homes, more than 12 000 pre-school children in 200 under-developed daycare centers and about 540 senior citizens in 17 seniors clubs. Ikamva Labantu is one of South Africa’s largest and most respected organisations, and employs more than 100 people. Young South African children in township communities have limited opportunities to be stimulated intellectually or emotionally. With most parents commuting to jobs that are far from home, they leave early and return late and don’t have the means to arrange supervision for children. For decades, women in poverty-stricken townships have responded to the need for daycare of children who are unattended to. 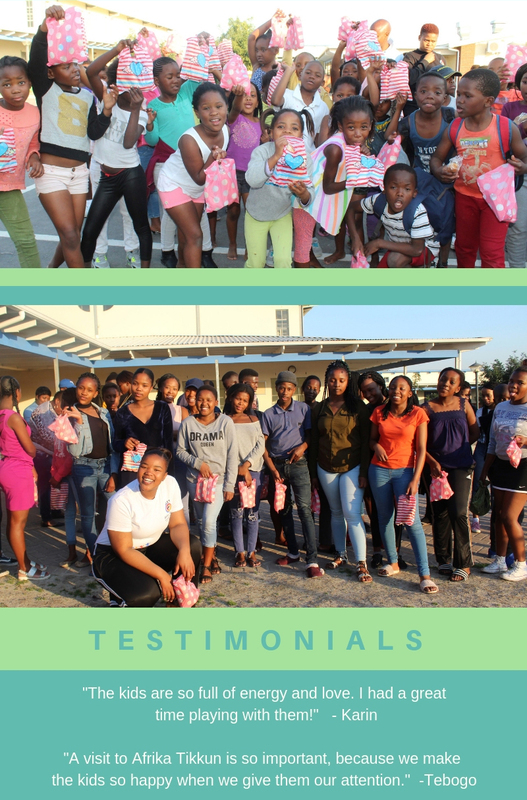 Through Ikamva Labantu’s early childhood development (ECD) services and programmes Spark ATM has donated funds to enhance the existing infrastructure of pre-schools. The staff at Spark have also gotten involved by taking part in these building projects. 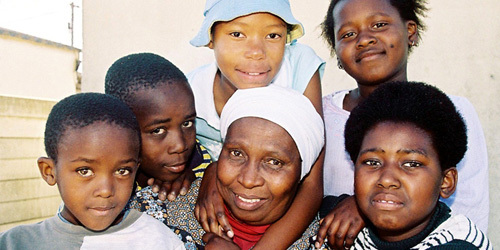 Ikamva Labantu encourages communities in preventative health, focusing on health-conscious behaviour, disease prevention, physical well-being, nutritional and mental health as well as the management of HIV and AIDS. The goal is to build communities that embrace preventative health rather than struggle with avoidable chronic and acute health problems. Spark ATM together with Ikamva have embarked on a campaign to empower people to manage their health and the health of those in their care by conducting health and wellness testing initiatives. Ikamva Labantu assists over 540 vulnerable elderly through their 17 seniors clubs where daily programmes include social activities, health monitoring, balanced daily meals and income generating projects. These Senior Clubs have become havens of light where they are offered care, love, food and companionship. Staff at Spark have dedicated themselves to spending time with the senior citizens making them feel loved and cared for. The Lutho Educare, Masakhane Seniors Club and Ekonwabeni Educare are the 3 main building projects Spark ATM has actively been involved with Ikamva. Spark’s financial contribution together with the involvement of Spark staff at these building sites has made a big difference in the lives of the children and seniors who regularly use these pre-schools and seniors clubs. In Spark ATMs continued spirit of making a difference to the community, they have committed to donating a portion of funds to various charities from every transaction that is completed on their ATMs. We make bursary sponsorships to students to study a technical diploma through Boston City Campus. Following their graduation they will become full time employees at Spark ATM as technicians. Spark ATM Systems provides favourable payment terms for black-owned, black-empowered and black engendered SMME’s of less or equal to 15 days.